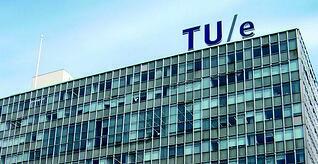 The Eindhoven University of Technology (TU/e) is a research driven and design oriented technology university with international reach which especially aims at educating young people at university level within the field of ‘engineering science & technology’. The TU/e offers its students and employees an international and academic study and work climate, which means an intellectually stimulating study and work climate, which inspires its students to achieve broad personal development, to social and cultural engagement and to an enterprising attitude. The TU/e has a large number of buildings on its private property which should be open to the public, students and employees. The TU/e would like to radiate “an open character” which leads to the necessity of properly screening off the locations which need to remain closed such as offices, labs and research rooms. It is necessary that the provision of keys is done in a good, reliable and safe way. It is also necessary that the entry procedures which are already available are provided by a computerized key management system. Because allocated keys are only released to users with the appropriate authorization, the KeyWatcher® helps to pursue a certain policy and to ensure that procedures are followed. With its little wall surface, the ergonomic system eliminates old-fashioned key cabinets, unreliable handmade journals and sloppy ID tags. It files the history of each key including the user, date and time of distribution and return of the key. The solidly executed stainless steel cabinet has been designed to prevent abuse and it is manipulation-proof. By using the KeyPro™ Performance Software you can manage, if you are authorized, one or more KeyWatcher® systems through the network of any work station within your organization. You are able to change the data in your database, retrieve reports, release keys, cancel alarms etc. This way, the opportunity is created to manage and check access to buildings and rooms, subject to time and place, 24/7. When the TU/e security was put in touch with the system, it appeared that the KeyWatcher® considerably decreased the number of keys in circulation and it enabled a better registration of who had which key and when. The employees and students had to be educated and convinced to work with the KeyWatcher® so they first started with one building. The key safe is located in the main building at the reception so it will be under supervision for most of the time. The reception also manages the software and takes care of the mutations. There is also a back-up location at the head of the department. The KeyWatcher® has fully replaced the old cabinet with keys.